Having fun with friends can and should be easy — and delicious. We've teamed up with DUNKIN' DONUTS® to make the coffee course a breeze. Making guests feel appreciated is the best thing about hosting, but it so often takes time that we don't have between working, binge-watching shows, and being hosted by other people! But as with many things, working smarter doesn't mean harder; you can totally wow your guests without breaking a sweat. From the tablescape to the food, coffee, and little extras, here's how to be a chilled-out hero hostess. 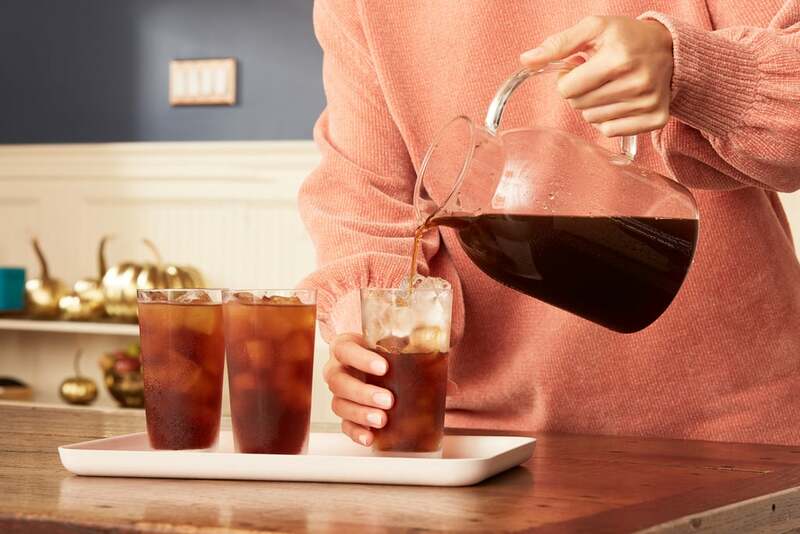 Guests already can't wait for that first sip of coffee, but get them extra excited by serving both regular and pumpkin spice flavors of DUNKIN' DONUTS® Cold Brew. Pumpkin spice is the absolute best thing about Fall, so celebrate accordingly by serving coffees up on a tray complete with fun tumblers, ice, and accompaniments. The prep starts the night before, making your hostess duties even more relaxed. Just steep two DUNKIN' DONUTS® Cold Brew Coffee Packs (1 pouch) in a pitcher with four cups of water in the fridge overnight. In the morning, take the filters out, add three more cups of water, and then serve. 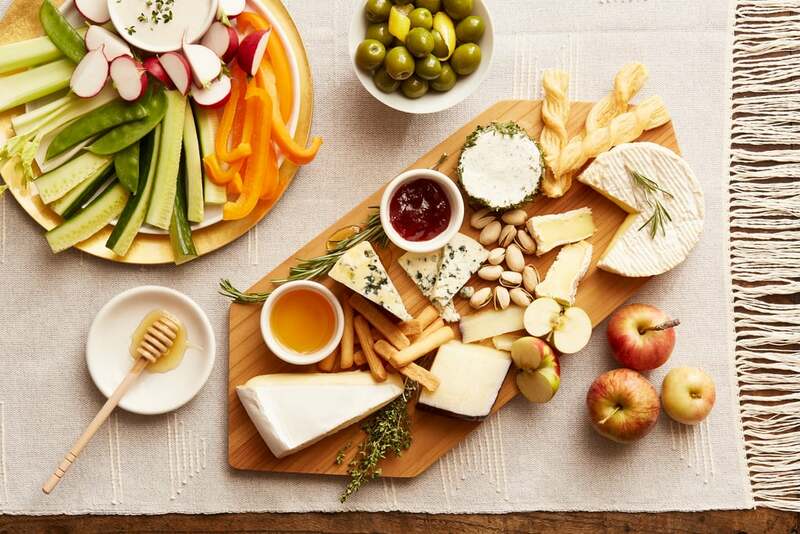 Nothing elicits "oohs" and French accents at a gathering like artfully arranged cheese, fruit, veggies, and dips, but you don't have to go to France — or even to the delicatessen — to serve up classy cheese and crudités. With the right extras and presentation, even the most basic, prewrapped grocery-store cheese plate can pass for fancy. Simply put crackers, fruit, a couple of dips, and a drizzle of honey together with your cheese, and your guests will be asking if that's an unpasteurized manchego from Spain in no time (and hey, it might be!). Washing up is the definition of effort, especially as it happens once all the fun is over. But simplifying cleanup with single-use plates doesn't mean sacrificing style — in fact, they can be the finishing touches your table needs. 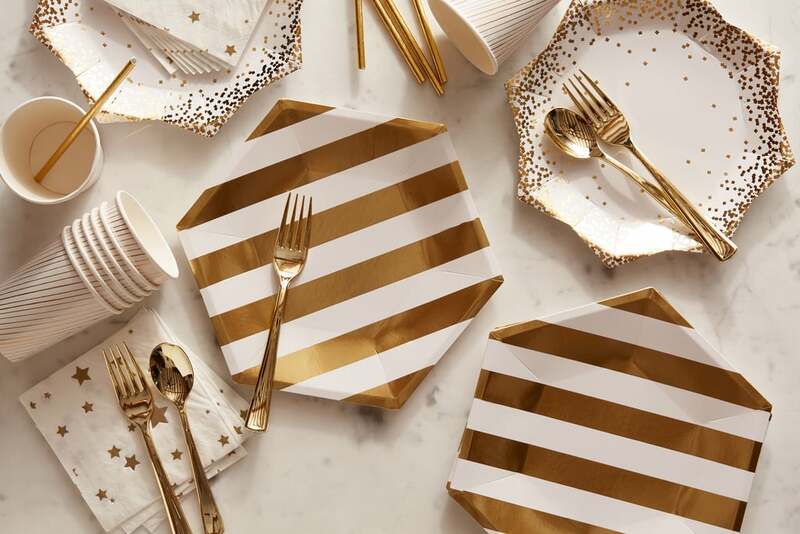 Paper and plastic plates have come a long way since your childhood birthday parties, so check out party supply stores for faux etched, metallic, and painted designs. Choose a dominant color theme, then mix up the patterns to create disposable yet stylish table settings. Cake and coffee are a match made in heaven, and you don't have to be a master baker — or even a mediocre one — to blow guests away with your sweet skills. Prebaked sheet cakes may not look that impressive in the store, but they are inexpensive, delicious, and easy to makeover. 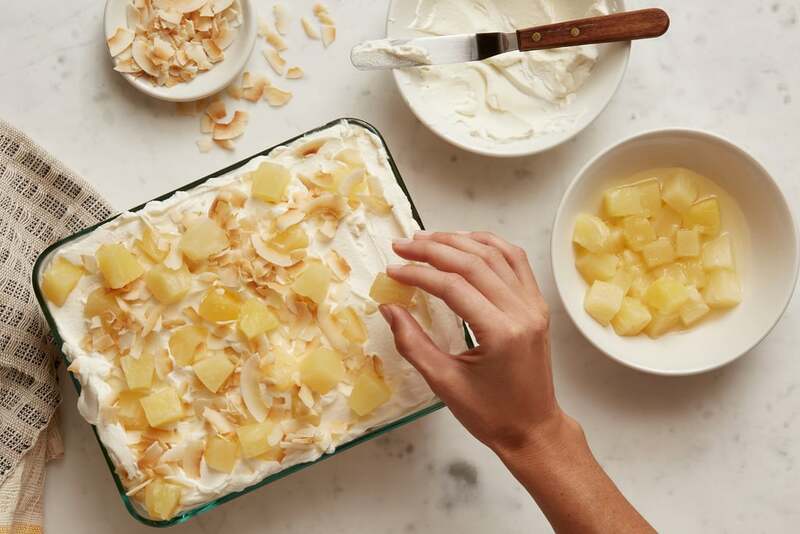 Transforming yours into a piña colada poke cake will add extra moisture and sweetness and hide its humble beginnings. You'll need: 1 4-serving box of coconut cream instant pudding and pie filling mix, 2 cups of milk, 2 tablespoons of coconut-flavored rum (optional), 2 cups of heavy whipping cream, 2 tablespoons of sugar, and 1/2 cup of sweetened, flaked coconut. Directions: Using the handle of a wooden spoon, poke holes almost to the bottom of the cake container, about 1/2 an inch apart. Beat the pudding mix and milk for about a minute, then stir in rum if desired. Pour evenly over the cake, then refrigerate for two hours. In a chilled bowl, beat cream and sugar using an electric mixer until slightly stiffened, then spread over the cake. Decorate with coconut flakes and fresh or frozen pineapple pieces. Serve! To bring a centerpiece together in a matter of minutes, look no further than your kitchen cabinet. 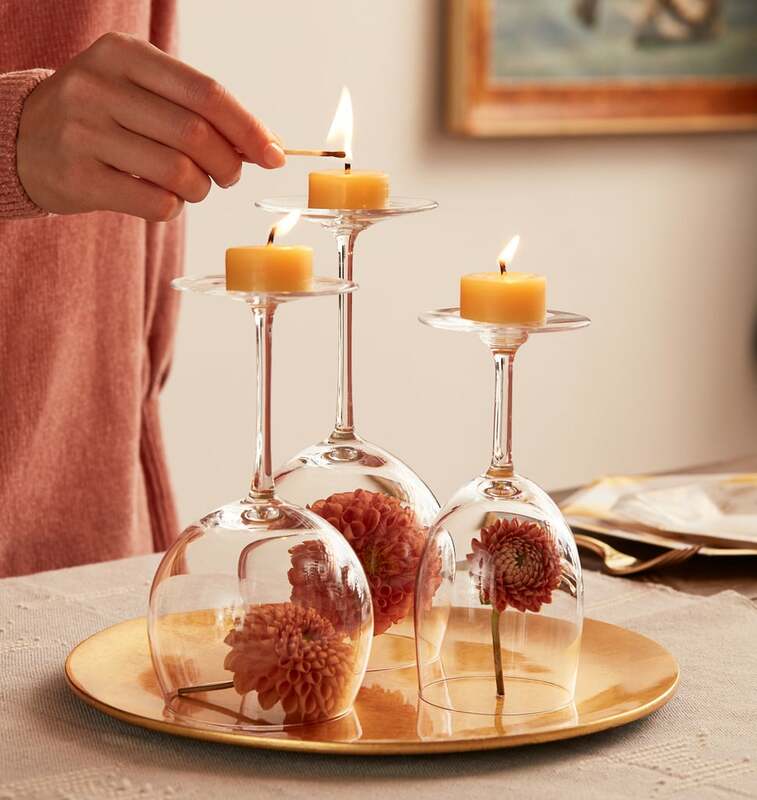 Upside-down glasses are a versatile focal point; they can be filled with any dried or fresh flowers, plants, or seasonal touches you have laying around. Go with glasses of varying heights to add interest, then top with scented tealights.